There has been much hype surrounding what has been described as the world’s wonder material – graphene. It is (theoretically) stronger than steel, more conductive than copper and incredibly flexible. Graphene is a one atom layer of carbon, a truly two-dimensional material. One mining company described it as “graphite, unfolded”. On the face of it graphene holds the potential to change everything we do and replace many critical raw materials in numerous applications. For example, replacing indium in touch screen technology is being targeted today by producers. In reality, however, the road to wide scale commercialisation and unlocking the true potential of graphene will be long and hazardous. Following two conferences in Europe over the last two weeks, the global interest in graphene from the world’s biggest corporations is clear. Companies such as Microsoft, Boeing, Panasonic, and Phillips were in attendance listening to small start-up graphene developers and, in some cases, graphite miners. Surprisingly, creating a viable, commercial production method didn’t seem the problem concerning today’s graphene pioneers. Finding real world applications and customers to buy it appears the greatest challenge. 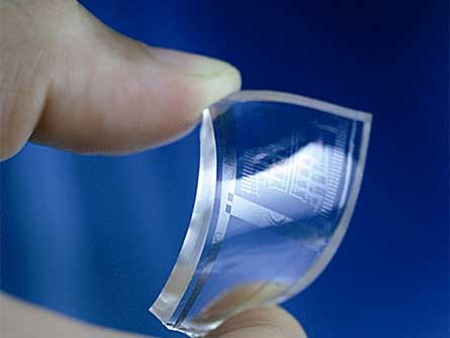 “There is no killer app for graphene,” said one US-based developer. To gain market acceptance, the serious developers are crying out for a standard definition and independent body to oversee this. Many are concerned the recent over-inflated graphene hype is attracting marketers that is discrediting the significant work of the materials scientists and engineers. Graphene clearly has a ground swell of interest on a global scale. While it may be a long time before we see true, game-changing graphene applications, the serious graphene companies must also be as effective at marketing as they are at materials science.